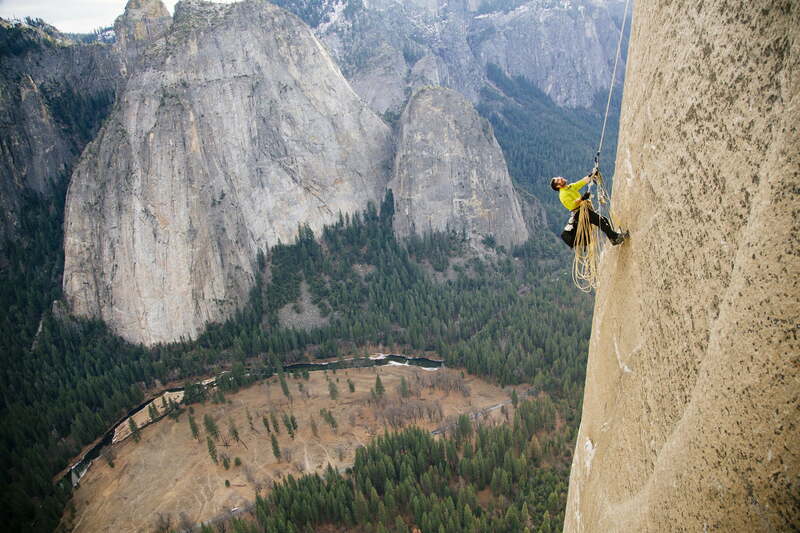 Imagine dangling thousands of feet in the air with only a rope and some cables to hold you in place. It’s not a place most of us would find ourselves, but for Corey Rich, it’s just an ordinary day at the office. 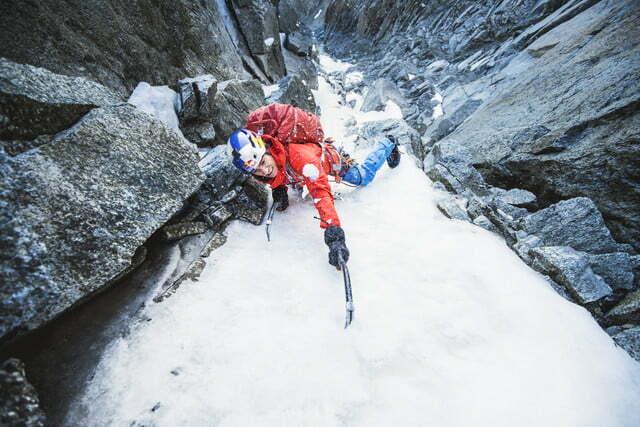 In order to capture his subject — mountain climbers — Rich must also put himself in their world. 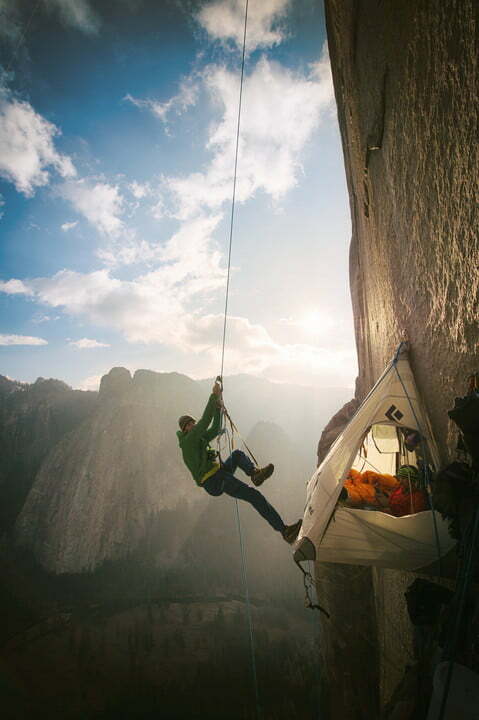 We spoke with Rich about the death-defying techniques he must employ to take his amazing images. Here’s his story. Digital Trends: You said your job involves the “process of toggling between the two mind states.” Can you explain? I’m as passionate about being outside and being part of an adventure as I am making the visual content. 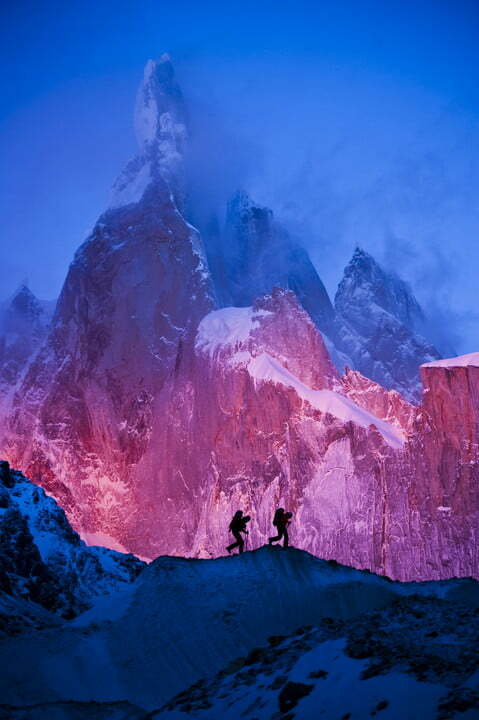 Cory Rich: I always say that as an adventure photographer, specifically when climbing, it’s the hardest environment to work in. First, you have to get yourself there; you’re in precarious positions, it’s uncomfortable, and oftentimes it’s dangerous. Then, you have to switch gears and ignore all of that. You have to stop thinking about the fact that you’re 3,000 feet off the ground, or that a storm is moving in, or that you’re incredibly cold or hot. You have to focus all of the sudden on being creative. You become a journalist — a photojournalist. And I really like that process of toggling between the two mind states. 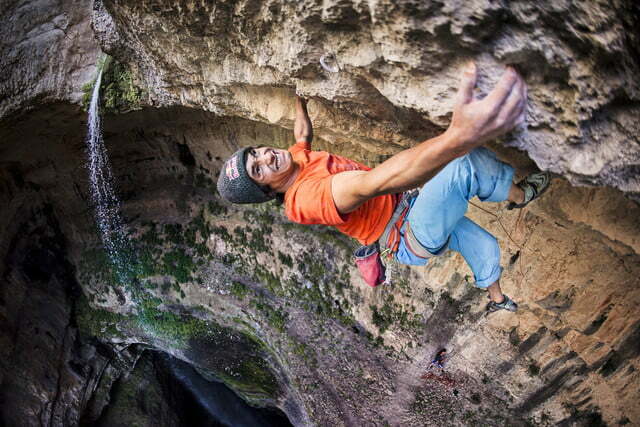 Do you think of yourself as a photographer first, or a climber? I like to say that I really still have those parallel passions. I’m as passionate about being outside and being part of an adventure as I am making the visual content. In athletics, a “flow state” is sort of when you’re the best performer. When I’m participating in adventure sports, when my heart’s beating at 150 beats per minute — sweat dripping into my eyes — I’ve found that when I reach that flow state where I’m the most creative. It’s all a statistical game. I always say that my goal is to take pictures that really wow people, where someone can feel [the danger and excitement] in my photos. However, I really go out of my way to not take risks and to be incredibly cautious, because I’ve learned two things over the years. I’m the happiest person when I’m healthy and not injured and life is a pretty amazing thing: I want this to be a career that lasts until I’m in my 90s, and it is important to be calculated and measured about what you’re doing in the field. But with anything, similar to driving to work, if you do enough of it you occasionally scrape up against potential danger or risk. I think one of my closest calls was shooting on El Capitan in Yosemite National Park in California, with legendary climber Tommy Caldwell and his then wife Beth Rodden. Long story short, I almost repelled off the end of a rope 2,000 feet above the ground, and Caldwell shouted out to me, “Stop what are you doing,” and ultimately saved my life. It was just human error as is often the case. You know, of course, my heart came out of my mouth and I managed to tie a knot in the end of the rope in order to not repel off the end of the rope. This just shows that no matter how calculated you are there’s a risk. It’s a reminder that sometimes double and triple checking something isn’t enough, there’s still human error involved and being surrounded by people that are also watching out for you is incredibly important. This goes back to what I mentioned earlier about being a participant. When I’m not being a photographer, when I’m not getting paid to do an assignment, I’m still out climbing and I’m still out taking pictures. My wife and I made a decision to live in the mountains because it is just part of who we are. We live in South Lake Tahoe [in California], which as far as I’m concerned is the outdoor capital of the world. When I’m at home and not traveling (somewhere on the magnitude of 200 days a year), I’m outside playing — I’m a participant. I’m out there riding my mountain bike, climbing, skiing, hiking, and swimming in the lakes. The more time you spend doing anything, (it’s that ten-thousand-hour rule), the more conditioned to those environments you become. When it is time to take pictures, it shouldn’t be a surprise, you should be used to the environment that you’re working in and hopefully you get great joy out of being in those environments while working. One other thing I would say about being prepared for shooting in these conditions and environments is to be able to roll with it. It is important to adapt and go with the flow. 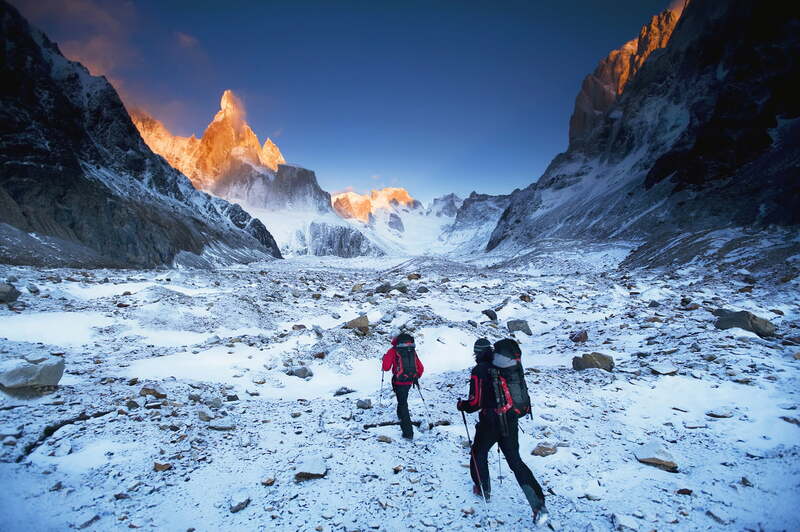 Never overreact, even in really dangerous situations — the goal is to be unflappable. Stop, pause, analyze the situation, and then make a rational decision as quickly as you can. In the adventure world when the stakes are high (even in the photography world), you don’t have time to allow yourself to ponder for too long so you make a quick informed decision and you move on. Where is your favorite spot in the world to shoot? I have two favorite spots. I live in South Lake Tahoe, and the [first time] I drove into Tahoe, I knew it was an incredible place. I’ve been to roughly 70 countries at this point and many of them more than once. Every time I come back to Lake Tahoe, it’s just my favorite place on the planet. It’s like a Disneyland for adults! 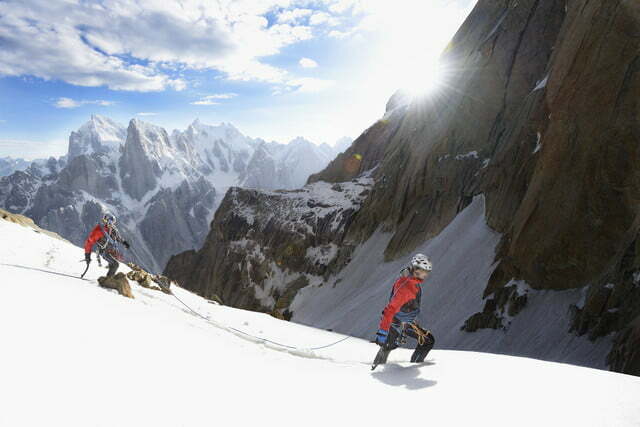 The second, and one of the most remarkable mountain ranges I’ve been to, is the Karakoram in Pakistan. It’s just such an active live range, incredibly dangerous and challenging to get there and politically unstable, but it’s certainly the most incredible mountain range I’ve ever visited. Even though I might not visit Pakistan again, I feel fortunate that I was able to visit at least once. I have never seen granite walls so big and felt so small. The mountains are massive and help to put the grandness of nature into perspective. 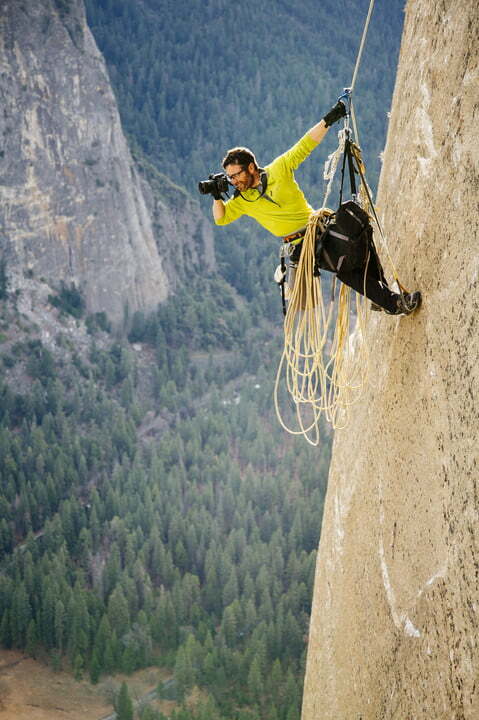 What are some of the tips and things to consider when shooting mounting climbing? 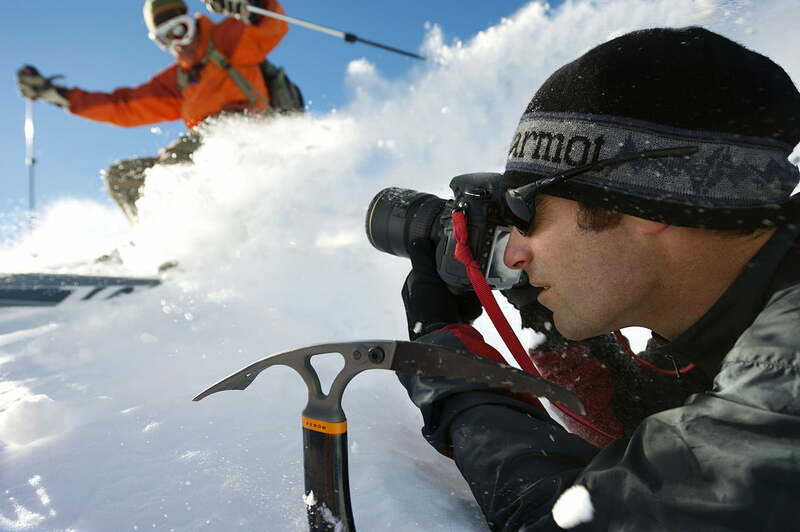 I think the number one tip is that less is more when you’re shooting in the mountains. It’s something that I try to remind myself all the time. Because when you’re carrying equipment on your back, the more energy you spend just being a baggage handler, the less energy you’re putting into being creative and telling a story. You want your brain engaged with storytelling, making pictures, or shooting video. It’s important to being a visual storyteller, not managing the equipment. Two lenses (one, if you can get away with it) and one camera body. Ninety percent of the photographs and videos that I’ve taken, have been shot on two zoom lenses — a wide-angle zoom and a telephoto zoom — with a small camera body. Right now, I’m shooting on a Nikon D750 and a 17-35mm f/2.8 and either a 70-200mm f/4.0 or a 70 -200mm f/2.8. The D750 is lightweight and compact for a full-frame DSLR camera. It also has a flip screen, so if I’m shooting from a very low angle, I can flip the LCD screen up, so that it’s like having an external monitor. It’s important for me to have tools that allow me to focus on creativity and give me the most flexibility. I think that’s the beauty of Nikon glass in terms of how sharp those lenses are, to have a focal range from 17 or 17-35 mm at f/2.8 and 70-200 mm at either f/4.0 or f/2.8. It is razor sharp with high ISO sensitivity in a small form factor is total freedom and flexibility. 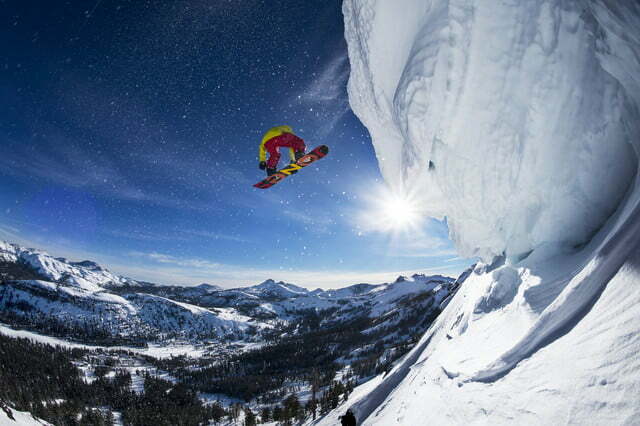 Corey Rich photographs Todd Offenbacher on a ski tour of Carson Pass, California. Photo by Jose Azel. 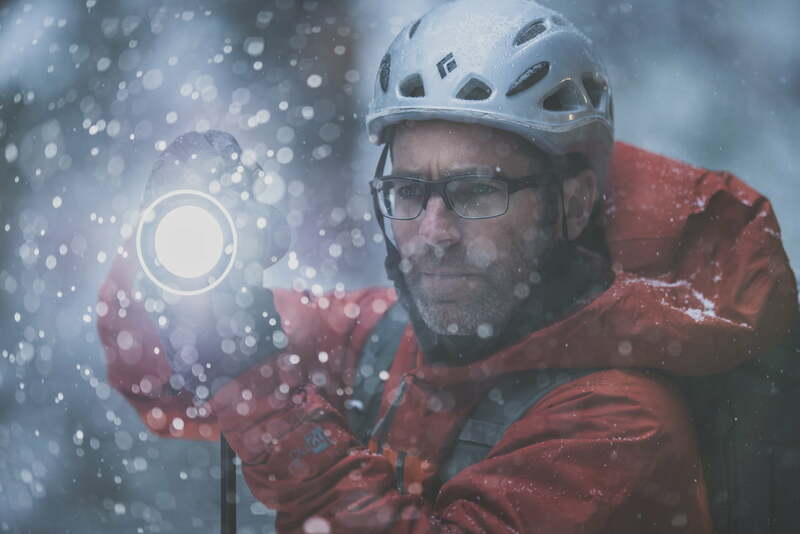 That combination of glass with camera body allows me to shoot an enormous variety of content and keep my kit relatively small and compact so that I can really conserve energy and focus on what counts, which is being a participant in the adventure, keeping up with the athletes, staying safe, and being creative. What other gear and accessories do you use? I always make sure I have a small Lowepro backpack or waist bag, and lots of memory. Memory is very affordable these days, so I go for the best SanDisk Extreme cards. SD cards are incredible because they are waterproof and shockproof, so if I drop the camera in the water I don’t have to worry about losing my data. I also always carry enough memory to not have to worry about downloading in the field. I usually carry enough to shoot for two or three weeks at a time. I feel so secure in the storage, especially the SanDisk memory, that I’m not concerned about losing data until I get back to the office or back to the hotel room before I fly. What are the most important photographic elements to take into consideration? Oftentimes, I’m working with really great athletes and we’re moving fast. I’m conscientious that I can’t always be ahead of the athlete, shooting and running ahead of them, so I need to make those moments count. It’s important for me to have tools that allow me to focus on creativity and give me the most flexibility. 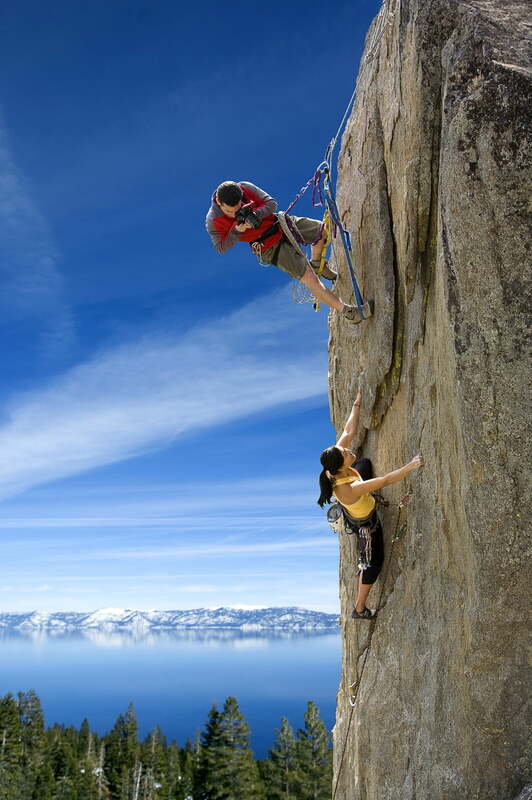 I’m trying to preconceive what are the best opportunities so that when I decide to sprint ahead or position myself above a climber, that series of photographs — that angle, that situation — is really going to pay off. 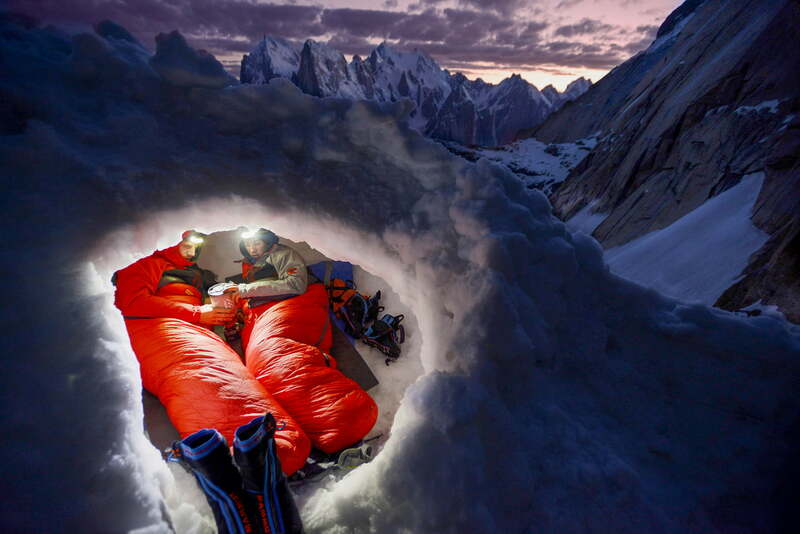 In the mountain world every photograph and camera position, requires an enormous amount of energy. Over time you learn when you put that effort in and when you hang back and wait for the right opportunity. The most important photographic elements still comes down to light, composition, and moment. Where is your light source coming from? Where are you going to put your subject in that rectangle? Is it a vertical or horizontal, and when are you pressing that shutter. Is the moment in your frame going to elicit some response from viewers? And the ultimate test is when you show a photograph, whether it’s to a core audience in the adventure world or whether it’s to your spouse or your mom and dad. Do they respond to the photograph or not? If the collective subjective is that people like the image and it elicits a response, then you’ve succeeded. If doesn’t elicit a response, you probably need to work harder. 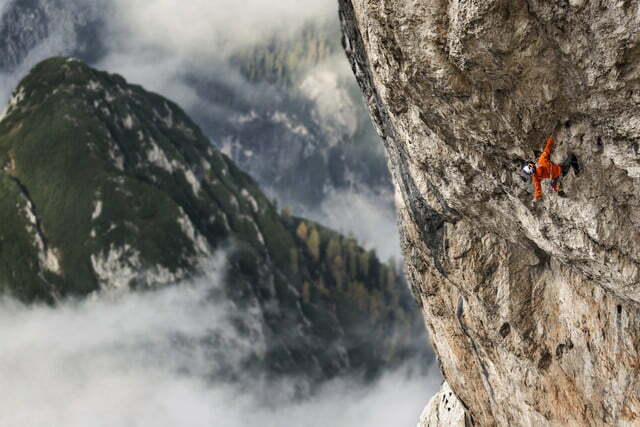 We don’t know if most of our readers, after reading this, will go climb a mountain tomorrow, but they might try photographing climbers. What are some tips you can give them? 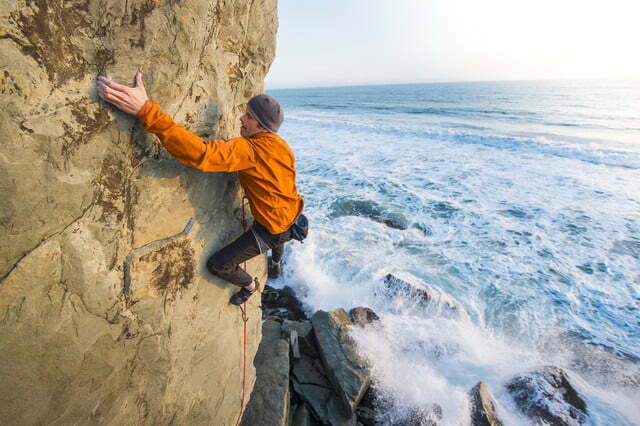 One thing that I discovered very early on is that there’s a difference between going out to rock climb as a participant, and going out to photograph rock climbing. 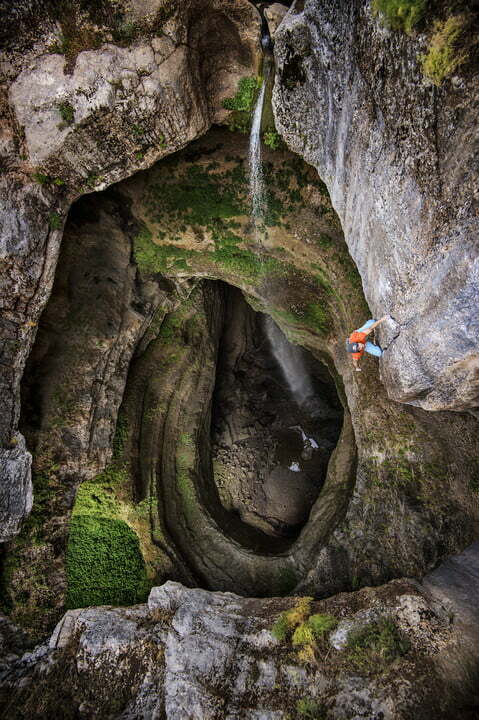 You have to accept that when you’re going out to photograph rock climbing, your first commitment is photography. Corey Rich. Images from the Dawn Wall, January 2015, in Yosemite National Park, California. Photo by Brett Lowell/Big UP Productions. 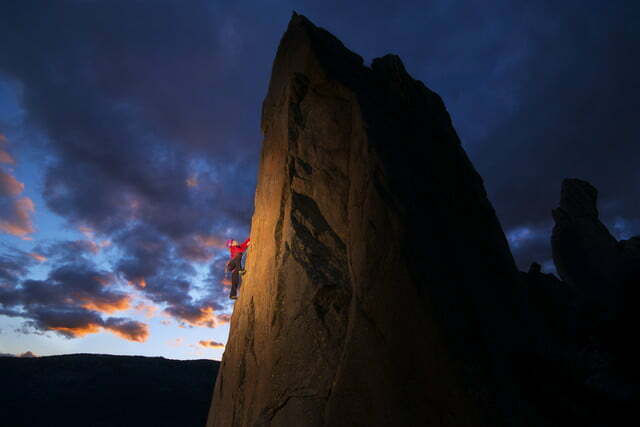 Corey Rich climbing Dawn Wall, January 2015, in Yosemite National Park, California. Photo by Brett Lowell/Big UP Productions. It’s telling stories and the bonus or the vehicle to get there is that you’re actually a participant and I think it’s hard for folks to grasp that. 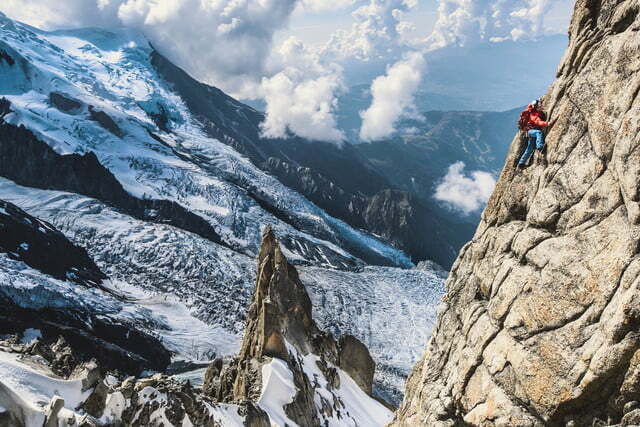 I think one of the challenges is that when you have limited amounts of time and you want to go out and recreate and enjoy the climbing experience, it’s hard to do that and make great photography at the same time. It’s a real commitment. You have to make a decision. What is your priority? What are you trying to really accomplish? Is it pictures? Is it telling a story? Or is it having a wonderful climbing experience with your buddies? Corey Rich is a photographer, director, and Nikon Ambassador based in South Lake Tahoe, California. His work has appeared on close to 100 magazine covers, including the pages of the New York Times Magazine, Sports Illustrated, and National Geographic. 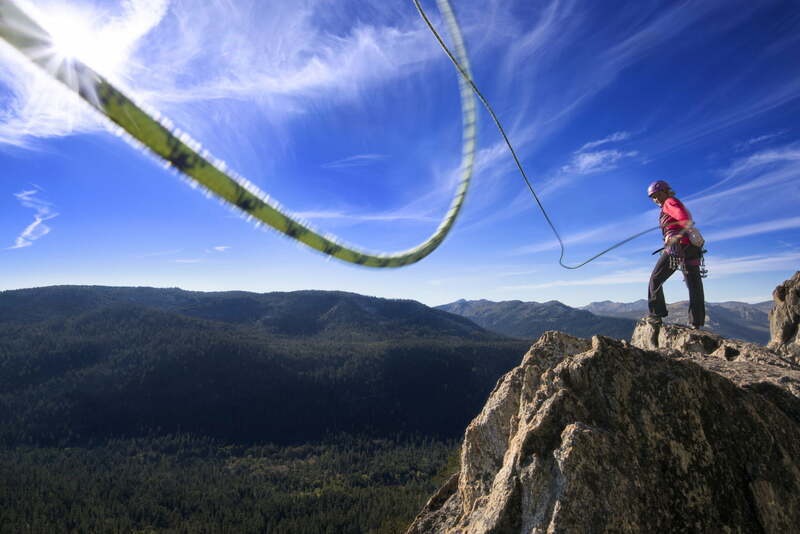 He is a member of the SanDisk Extreme Team, and partners with many tech companies. And that’s something that I’m really realistic about and I think it’s important to set that stage and expectation with the people that you’re photographing so that they know you have an ulterior motive. You’re focused on not just the experience but you’re focused on storytelling. Inevitably, it’s impossible in the adventure world to just be a fly on the wall. You are affecting the experience. You’re often times slowing down the experience for all of the parties involved. So setting that expectation, and I always say this as a tip — it applies to adventure photography or any form of photography or any craft for that matter — it’s that you just need to tirelessly do it as often as you can because photography and storytelling is muscle memory. The more often you do it, the better you get at it. And there is no substitute for practice. Practice makes perfect. Reading books about photography, blog posts, articles, it’s all great, but it’s not a substitute or replacement for just making pictures. And frankly, the making pictures part is what it’s all about. It’s the most fun so get out there and enjoy it as often as you can.